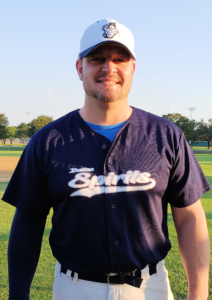 (October 28, 2018 – Grand Prairie, TX) The Spirits (35+) squad finally took the the diamond after two weeks of non-play due to rains that turned the area into the Gulf of Dallas. On the calendar for the day’s contest was the Knights, a team the Spirits last tied and currently shared a first place standing with in NTABL Brazos Division fall baseball. The Spirits used 10 hits in come-from-behind fashion to clear a 4 to 2 deficit and turned the deficit into a 7 to 4 win. Jonathan Duran was solid from the mound for the Spirits and the defense was intact despite two weeks off as they allowed zero errors in the field of play. 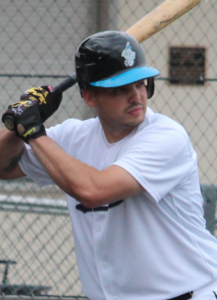 Three doubles and three runs scored by Travis Hitzeman carried the offense as the squad battled in the game’s final inning to pick up the win and sole possession of first place in the division. After both teams went in order to start the first, the Knights made it 1 to 0 in the second after Scott McCain led the inning off with a single. McCain then advanced when Michael Kubick grounded out, and a triple by Matthew Lawley scored McCain before Duran was able to get Jesus Marquez and Roger Battani to ground out. The Spirits quickly tied the game in the bottom half of the inning after Hitzeman pelted one of his three doubles to lead off the inning and would later score after advancing on a pair of wild pitches from Knights pitcher, Keaton Hougen. That score held up until the fourth when the Knights made it 2 to 1 after Haley Hougen led the inning off with a double and then later scored on a single by McCain. The Spirits answered however, adding a run in the bottom of the fourth to tie the game, 2 to 2. Brant Finchum and Kirk Sipila flew out, but Hitzeman’s second double on the day kept the inning alive and Patrick Bilgere answered with a single to score him to even up the score. The Knights got to Duran in the top half of the sixth to add a pair of runs after Duran was able to get David Poole to ground out to start the inning. Justin Toone drew a walk off of Duran and 3 straight Knights singles made it 3 to 2 after Toone scored. Matthew Lawley flew out for out number two, but a single by Marquez created a 2-run cushion before Battani grounded out to end the Knights’ rally. Now facing Haley Hougen at pitcher, the patient and often non-panic minded Spirits took to the batter’s box in the bottom portion of the sixth with time constraints winding down. The Spirits made good use of the remaining time by choosing not to make an out until 5 hitters into the inning. David Tipton drew a lead off walk and stole second and a single by Finchum pushed him to third. Finchum swiped second to give the Spirits the tying run at second base, but Hougen saved the hero opportunity for himself as two consecutive wild pitches allowed both Tipton and Fichum to advance and then score to tie the game, 4 to 4. 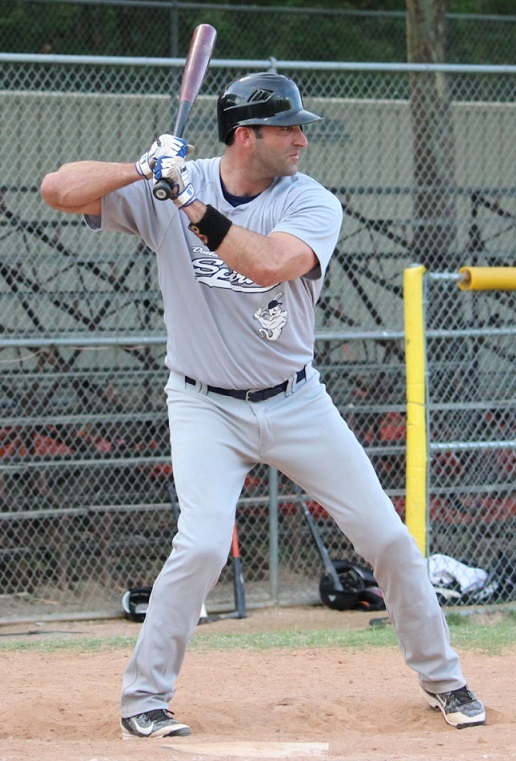 Sipila would eventually single on a 7-pitch at-bat that included 3 foul balls and Hitzeman’s double-hitting clinic continued, allowing Sipila to advance to third. Bilgere recorded the first out of the inning, but the sacrifice fly was good for an RBI to score Sipila and the Spirits had the lead. Bobby Kornhauser was then hit by a Hougen pitch and after swiping second to again give the Spirits runners on second and third, John Hefner followed suit with his continued hot-hitting by singling to score both runners. The Spirits were up 7 to 4 at this point and the game ended due to the league’s two hour time limit. Aaron Wilson added a pair of hits, including a double and Jack Nash added a single to round off the Spirits box score. 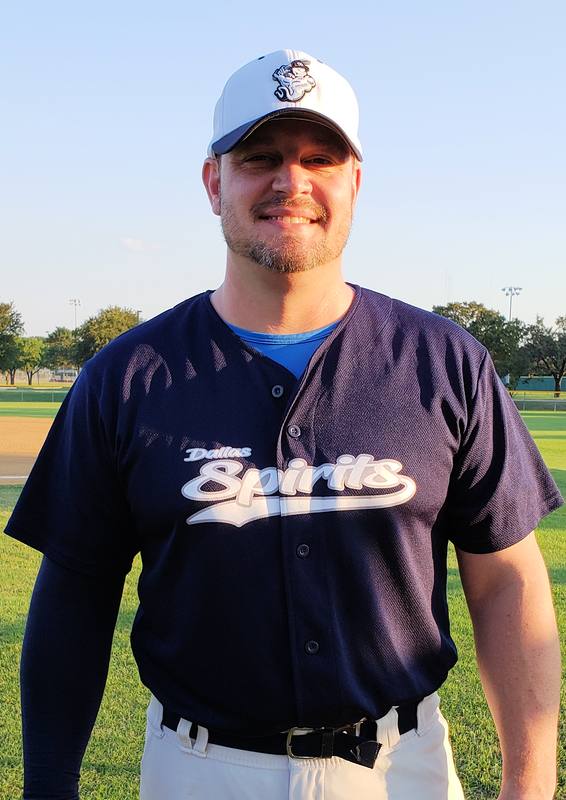 The Spirits were slated for an additional game on Monday night, however the Dallas Royals Baseball Club failed to field a team and thus forfeited, lifting the Spirits record to 6-0-1 in Brazos Division play and giving them the number one seed moving into the playoffs for fall baseball. The Spirits await details on next Sunday’s final season game as they’re currently scheduled to once again host the Knights at a location that is currently TBD. You’re welcome to click here to check for scheduled updates for that particular contest.